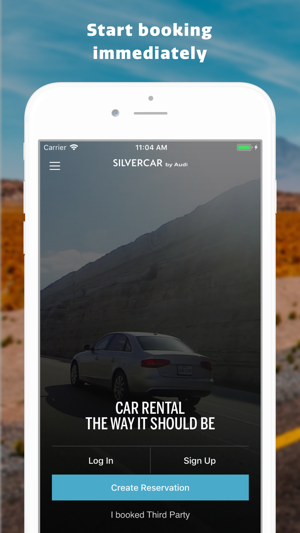 Silvercar has rewritten the rules on car rental. 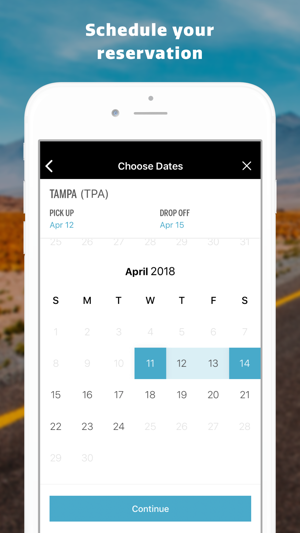 No more waiting in line at the rental counter, up-selling, or rental car roulette. Every car in Silvercar’s rental fleet is a fully-loaded silver Audi. So that’s what you get, every time. Guaranteed. 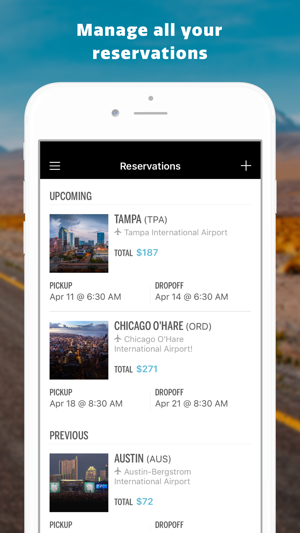 Our new app puts premium, hassle-free car rental at your fingertips. 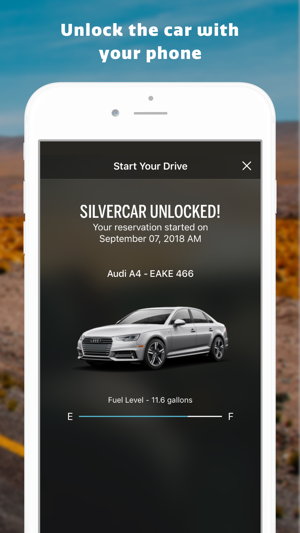 In seconds, you can reserve your Silvercar at most of the largest airports in the US. When you arrive, your ride will be waiting for you. All you have to do is get in and go. 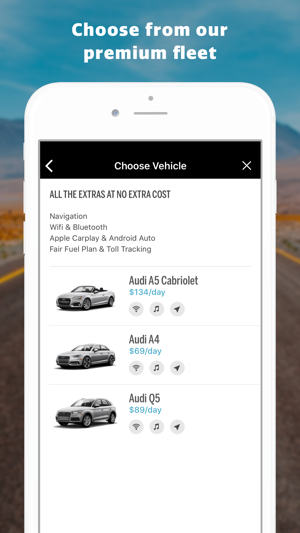 • Sign up, reserve and drive an Audi with just a few taps. • No counters means no lines and no waiting to get your car. • No paperwork. Everything is done seamlessly in the app. You'll even get an email receipt upon return. • Fair fuel and toll tracking policies. • Hassle-free return. No paperwork needed. • In-car WiFi, Bluetooth, SiriusXM satellite radio, in-dash navigation, leather, heated seats, and more in every car. April showers bring May flowers (and bug fixes). We improved sign-up and email verification for new customers. For what is perceived to be a premium brand, I am astonished at the customer service and booking process. As would have been first-time users, we reserved an A4 a couple of months in advance to be picked up in Orlando. We filled out all pertinent details including drivers license information, flight details and the like. Two days before our flight they cancelled the reservation with no notice. When we called and had to leave a message, they finally called back and claimed we had received texts about completing our profile. The profile was complete since they had all of our information when they finally called us back, and no texts were received. I’m not sure why their policy is to only send texts, and not emails like the confirmation regarding the threat of a cancellation. They rebooked us, at a cost of $30 more than we originally booked for. The customer service provided by Revlon, the associate, was sub par, and when asked to speak to a supervisor, her only response is that he would maybe send us an email. I’m sure that email will go where the texts supposedly went... to no one. So, no thank you Silvercar, you’ve lost a customer. Used Silvercar for the first time for a family vacation in Phoenix, and the experience was excellent, from pick up to drop off. Upon landing at PHX, I used the app - it had instructions for pick up that were specific to the Phoenix airport. The app kicked off a text message to the local Silvercar service. They asked how many passengers and how much luggage I had, then instructed me how to meet them. I had 5 total people and several bags, and they met me with a Q7, which was was the right size for our group. The service reps did a walk through of the vehicle and I was promptly on my way. On drop off, our car was full, so I texted the service and informed them that we didn’t have room for another passenger to drive us back to the airport after returning it to their location. They then instructed us by text to drop the vehicle in the airport lot closest to our terminal. I took pics of the parking spot and told them where I left it. It was very easy. I’ll definitely use the service again - loved it!